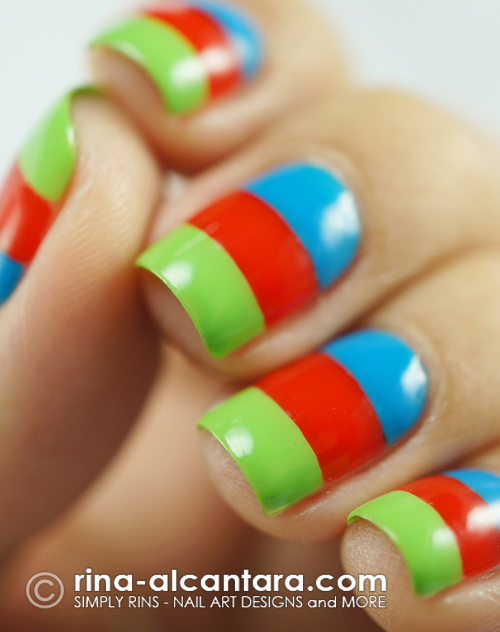 More and more nail polish brands are releasing vibrant and interesting colors for summer. As a nail art enthusiast and polish lover, I feel happy that more women are now open to brighter shades of nail lacquers. Caronia didn't fall behind as it recently launched its Tropical Doll Collection here in the Philippines. The title of the collection was inspired by the idea that summer puts us in a tropical vacation mode or simply that a lot of people wants to go to the beach to beat the summer heat. And the polish names in this collection reminds us of refreshing fruits we crave during the season. 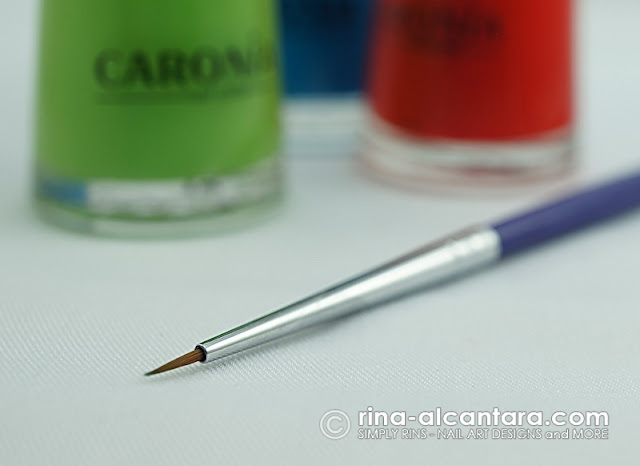 Let me introduce you first to Caronia Kiwi. Caronia describes this polish as lime green but in real life, it's less brighter. I recommend adding a layer of a glossy top coat. It looks really fab with a lot of shine! Application can be tricky but it didn't matter because I personally think this is a good green for summer. 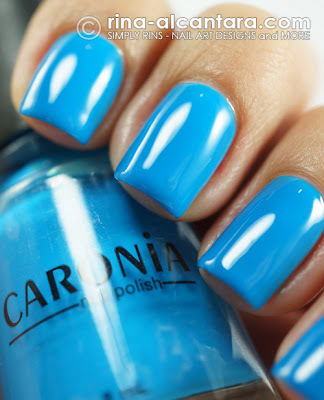 I tried Caronia Blueberry next and Caronia described it as true blue. Personally, I'd say it is more like a cyan blue. However it is called, I liked it. Reminds me of the ocean. This would make a very attractive polish when you hit the beach. Consistency was a bit thick but I didn't have any problems with application. I painted horizontal stripes using Caronia Kiwi, Blueberry, and Tangerine. The focus in on the colors so I didn't paint any design on top of it when I was done. And since my nail beds are rather small, I used a detailing nail art brush to help me paint the stripes. I figured using a scotch tape to create clean straight lines would have been a smarter choice for this nail art. But I didn't have that much time to create the design so I decided to use a detailing nail art brush so that I won't have to wait for the polishes to dry before I work with another color. In any way that you choose to create the same design, what matters is finding what works for you. Caronia polishes is available in all leading department stores, supermarkets, drugstores, and other health & beauty shops nationwide. Each bottle retails for less than Php35 (approximately $0.80). 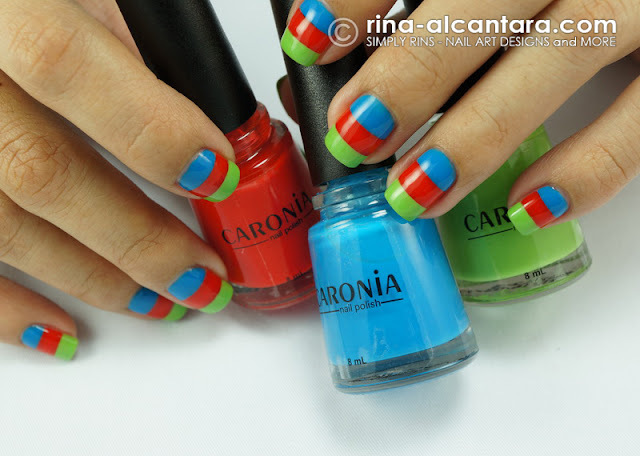 Disclosure: All nail polishes seen in this post was sent by Caronia Philippines for consideration. Under no circumstance did it influence this personal and impartial review. You may read my Disclosure Policy here. Nice colours, look very cheerful.. 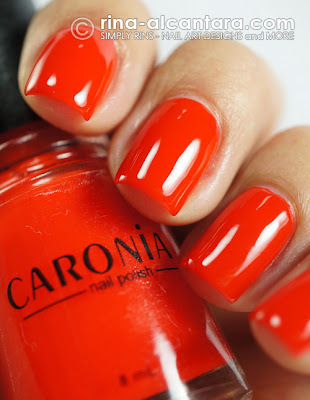 I like Caronia Blueberry! I've been searching this site, I know I already visited this, I just forgot the URL. I want to show my gf how beautiful your nail art is! She wanted to find some designs, she really want to try having nail art.